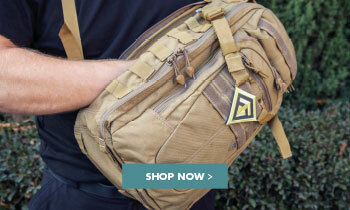 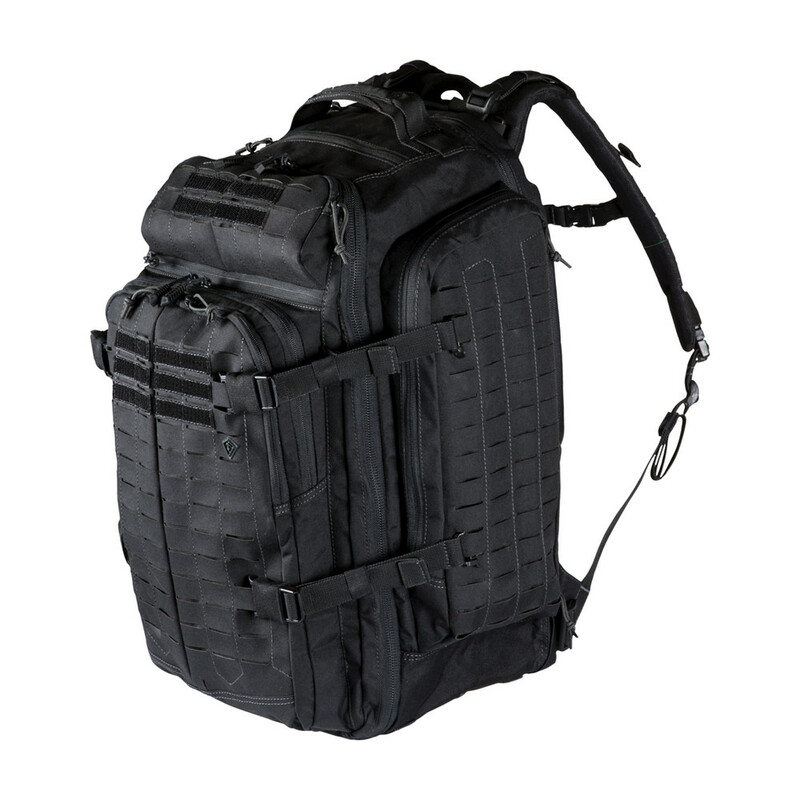 The sturdy 3-Day pack with boasts our innovative Lynx™ Laser Cut Platform which is compatible with MOLLE/PALS. 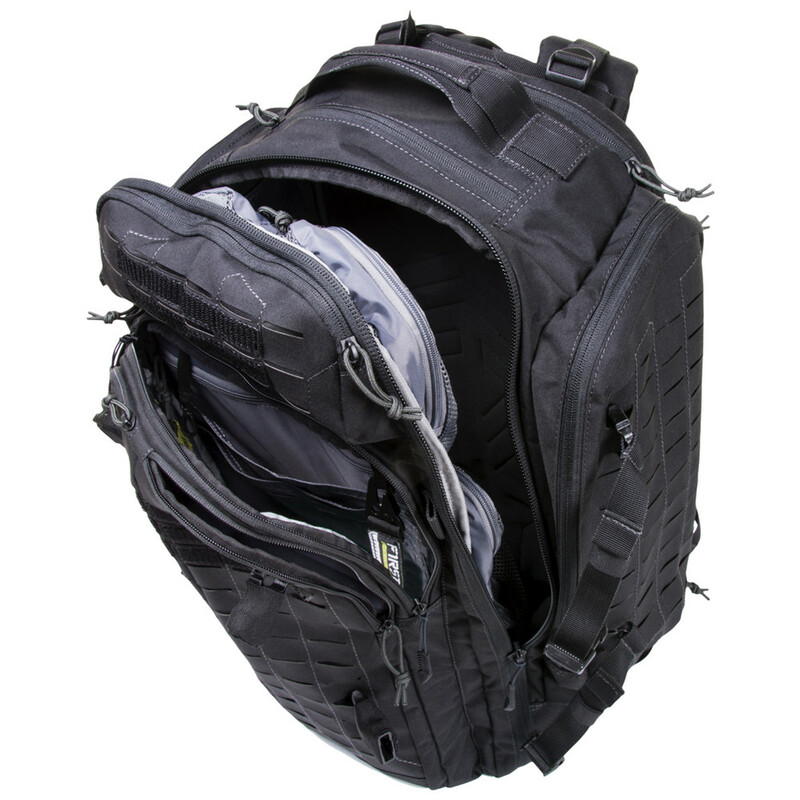 Like all First Tactical backpacks, this pack features the Hook & Hang Thru™ compartment, which exponentially increases your organising options. 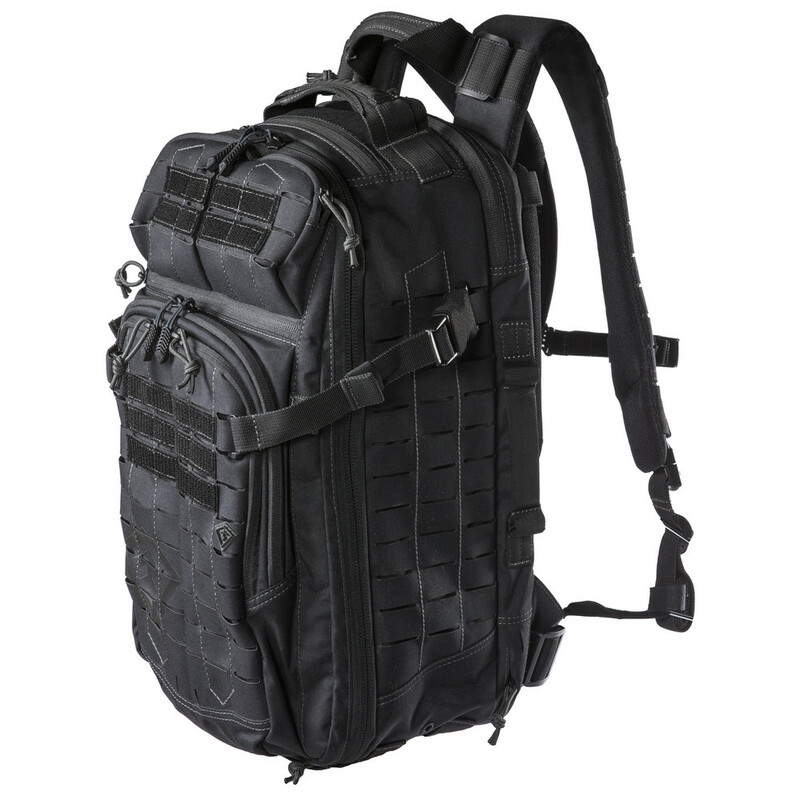 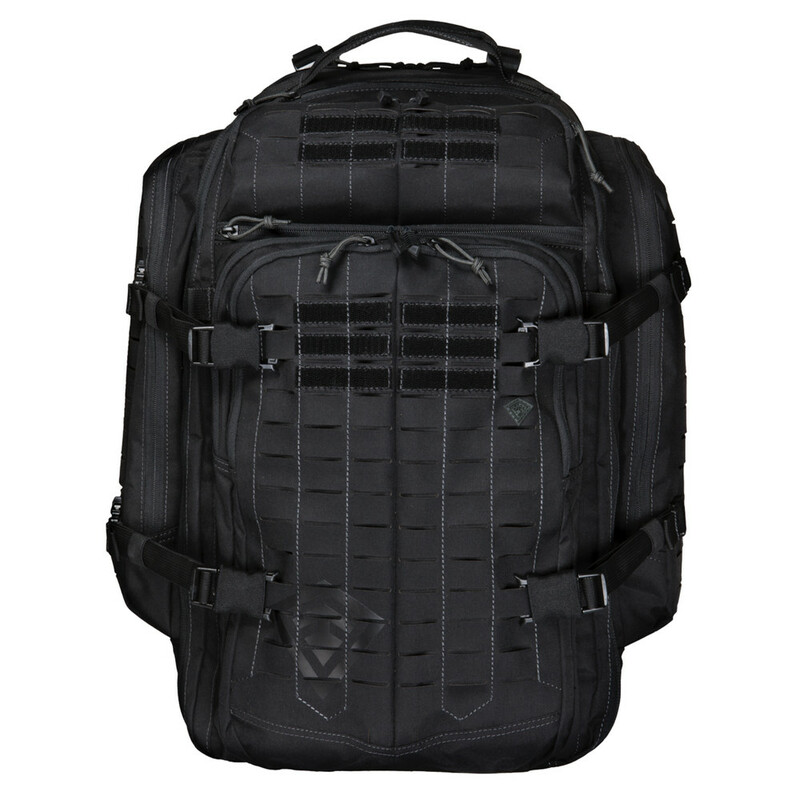 Against other large tactical backpacks, the Tactix 3-Day Plus leaves its competition behind. 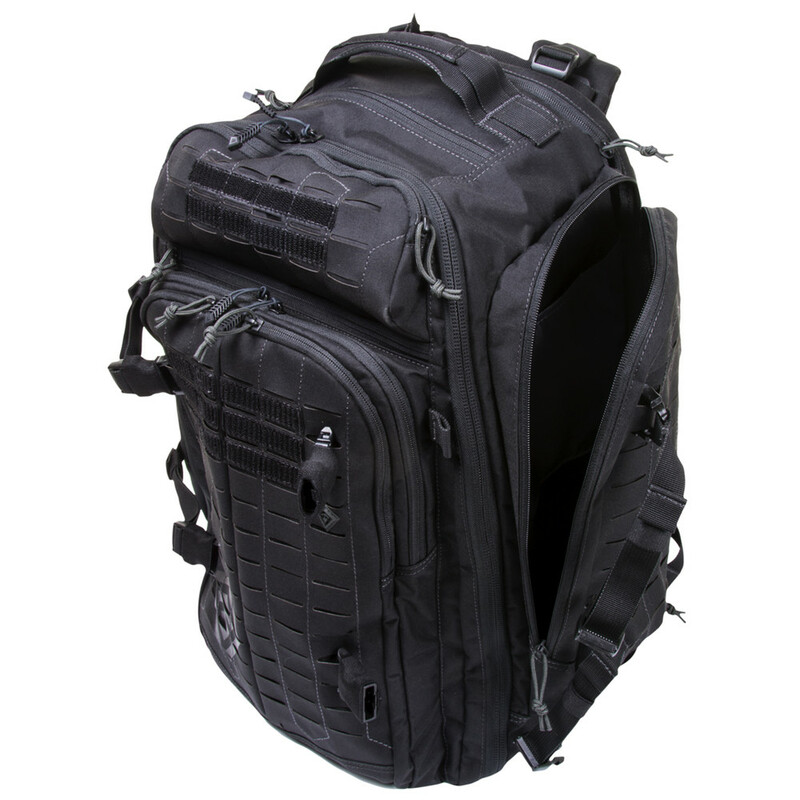 The new take on the traditional web platform offers twice the mounting positions and tests 20% stronger when comparing to other tactical bags. 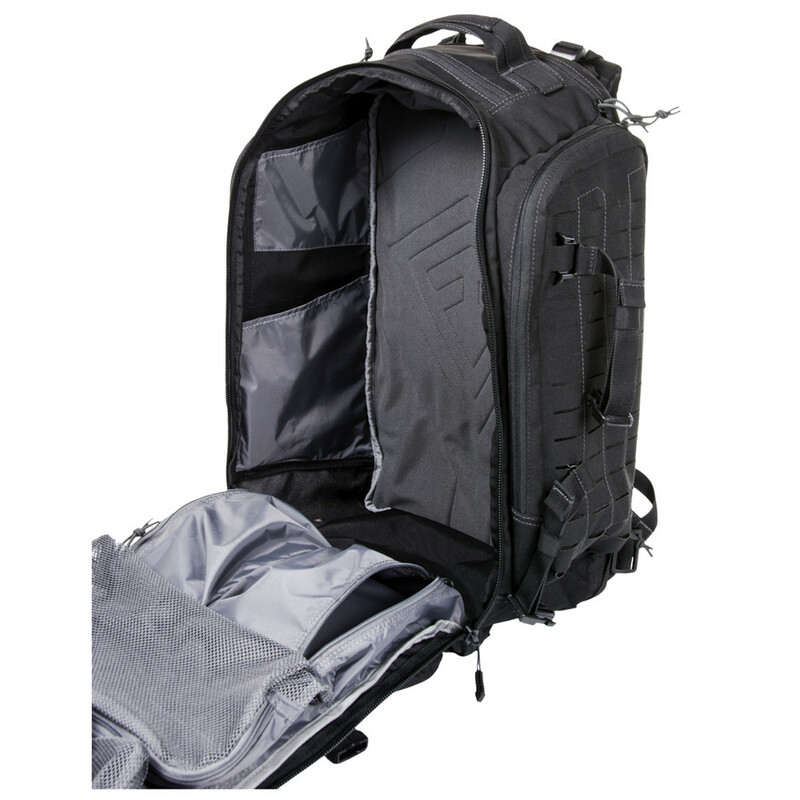 Two layers of 500D nylon fabric are laminated together for additional strength with a low profile. 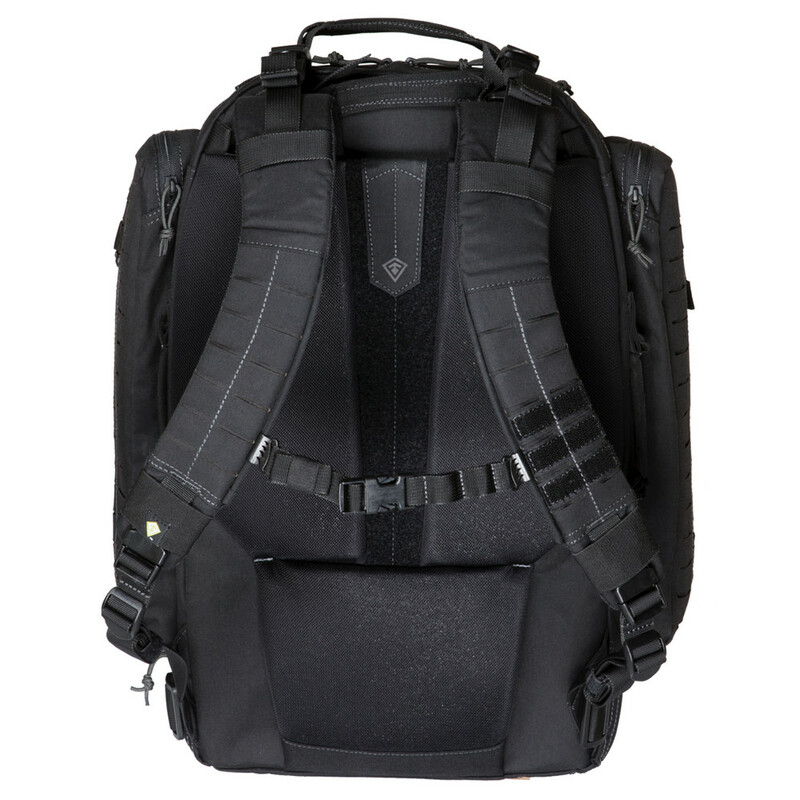 The laser cut slat system is both strong and smart and offers twice the usable loops to position additional gear. 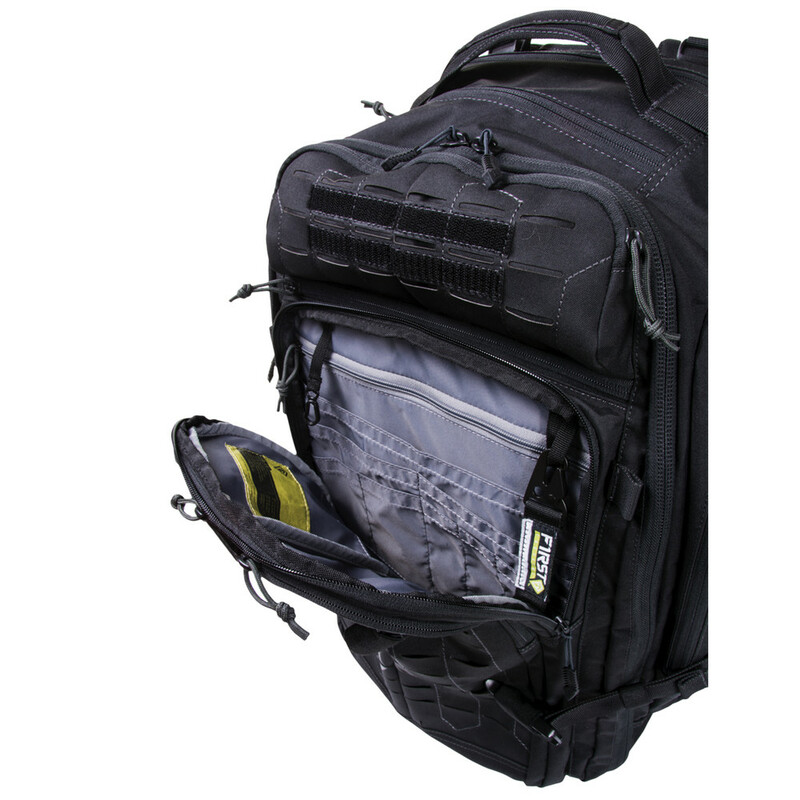 The ingenious Hook and Hang Thru™ System compartment unzips top and bottom, allowing specialised items, e.g. 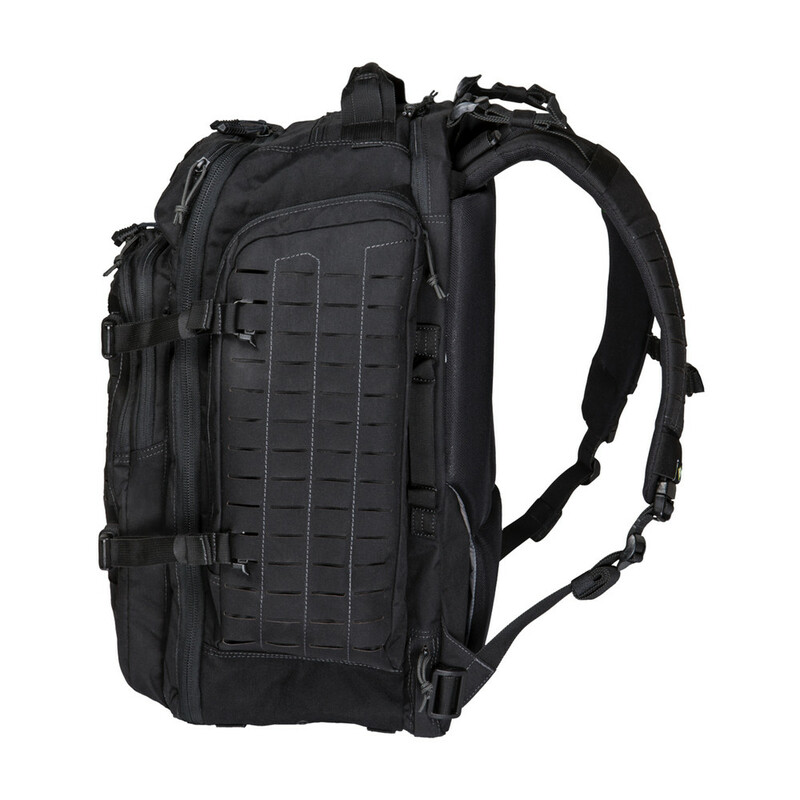 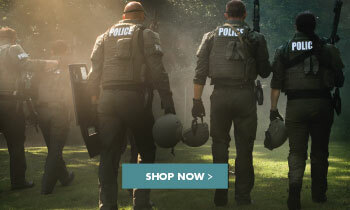 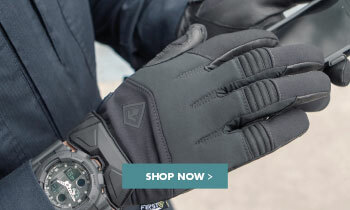 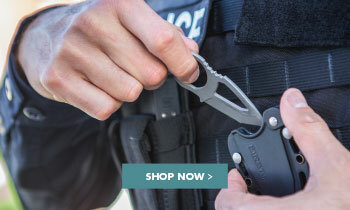 First Tactical Rifle Sleeves or other oversized tactical gear or hanging items to slide through and securely “hook & hang” in place. 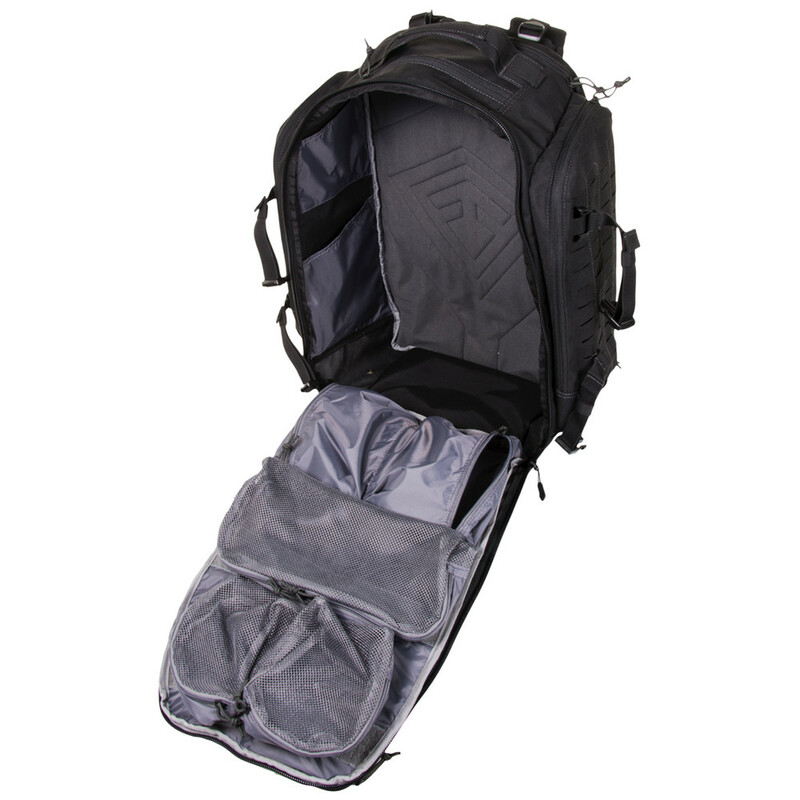 The Tactix pack’s completely repositionable or removable straps allow optimal personalisation, no matter what your need.